If you are in Toronto, check out my installation Somewhere Strange in the window of Roadside Attractions at 911 Davenport Road. On until September 30th. 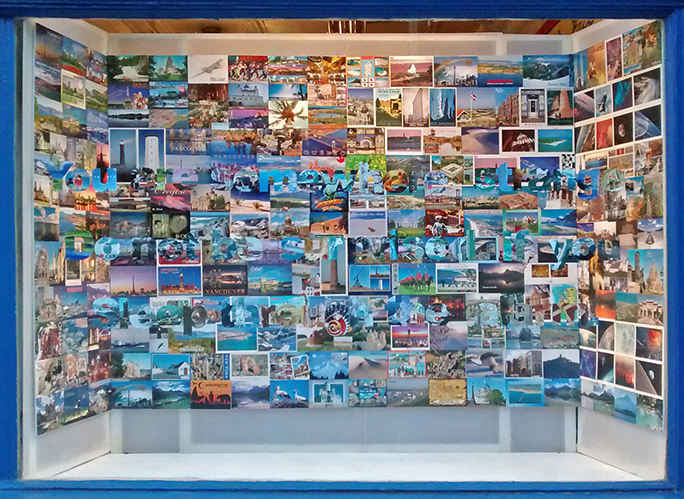 The collection of postcards addresses the disparity between how spaces are represented and idealized, versus the visceral experience of passing through them. 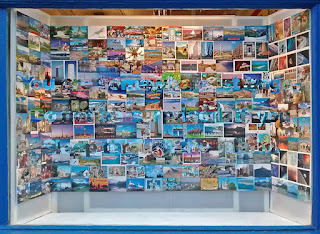 The haiku poem is meant to add another layer of meaning to the postcards, asking you to wonder about the nature of reality whilst looking at images from many different places. Together, these elements form a simple expression of the sublime strangeness of the world, where you may reflect on dreams, reality, familiarity and the unexpected. Labels: Haiku, Installation, Postcards, Public Art, Roadside Attractions, Somewhere Strange, We See Inc.